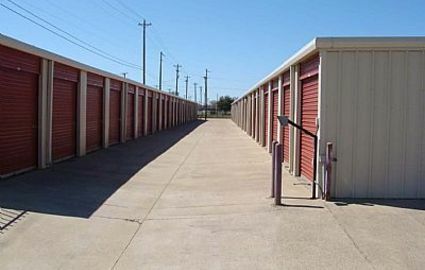 Trinity Self Storage offers a wide range of clean and secure units that are perfect for those who live in Fort Worth, Texas. We're conveniently located just off I-35W near Texas Health Harris Methodist Hospital Alliance and Trinity Springs Middle School. Whether you're in Keller, Roanoke, Watauga or Southlake, our facility is just a short drive away. Stop by today and see us! We offer a wide range of features that make your storing experience a little easier. Our ground level units have drive-up access, which means you don't have to carry cumbersome belongings up flights of stairs or try to awkwardly maneuver them inside of an elevator. Simply drive your car or rental truck next to your storage space, and carry your favorite belongings only a few short feet. Whether you're looking to store your daughter's furniture as she goes off to college or you need a place to keep your commercial inventory, the experts at Trinity Self Storage will help you find the right solution for all of your organizational needs. Call today, and speak with one of our friendly professionals; we'll answer any questions you may have about the packing, storing and moving processes.